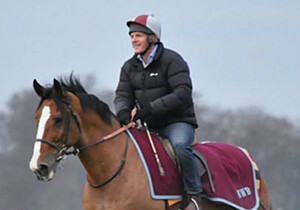 We are delighted to offer another horse with Michael Bell who trains in Newmarket. 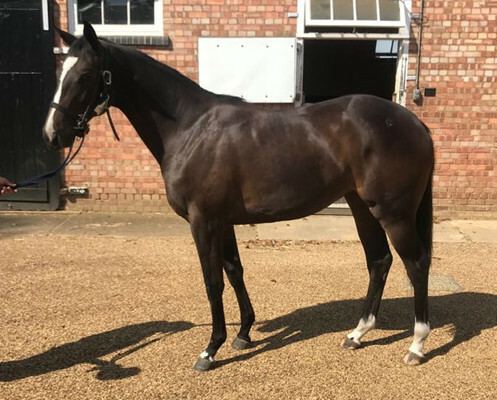 Michael & Ontoawinner loved this filly from the off and we are excited to see what next season brings for her. Brazen Beau was a very classy racehorse. He was a Group 2 winner at 2 and multiple Group 1 winner at 3, He was crowned Australian Champion sprinter at three, like Exceed And Excel. He won the G1 Newmarket Stakes defeating the world’s highest-rated older sprinters. 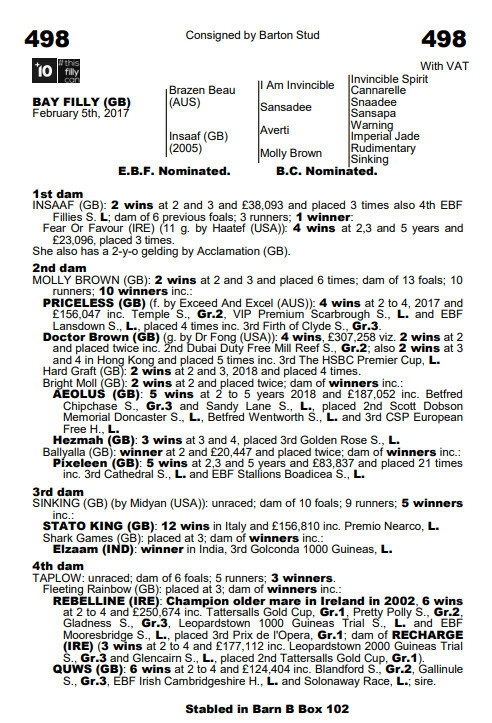 His first foals well received in 2017 making up to £71,000. The former champion swept past another landmark in his short stud career with the sale of a yearling filly for A$700,000 at the Inglis Australian Easter Yearling Sale in April this year. 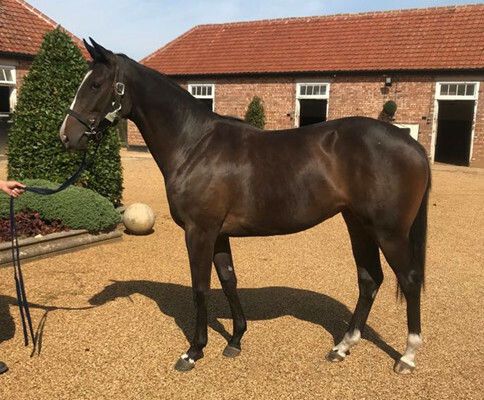 This filly looks to take everything in her stride at home and has an exceptional temperament. She has a fantastic shoulder and hind quarters and is built for speed. She looks extremely racy and should provide her owners with lots of fun reasonable outlay. She comes highly recommended.